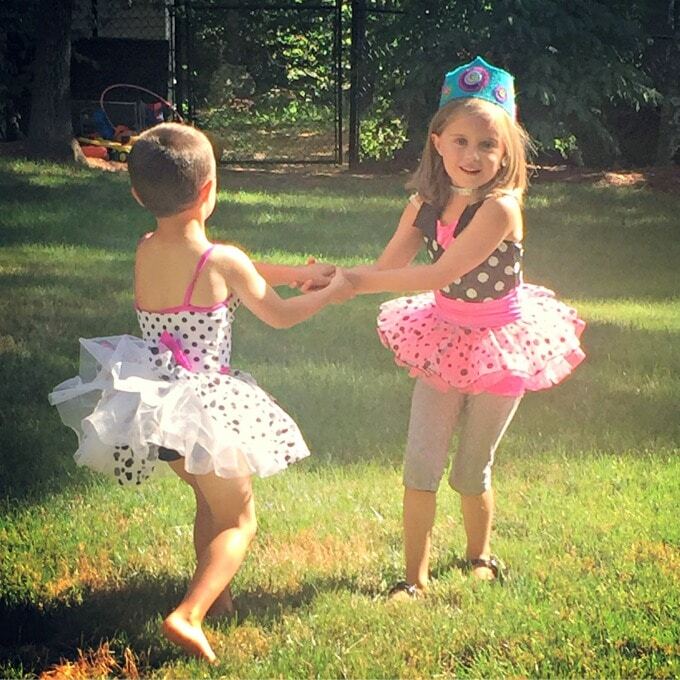 One of the most common questions I receive via email and DM is how to homeschool little ones. Let’s face it, when you are first starting out on this journey, it can feel overwhelming. Sometimes, as mamas, we have a tendency to overthink all the things. As a result, we can sometimes overcomplicate… everything! 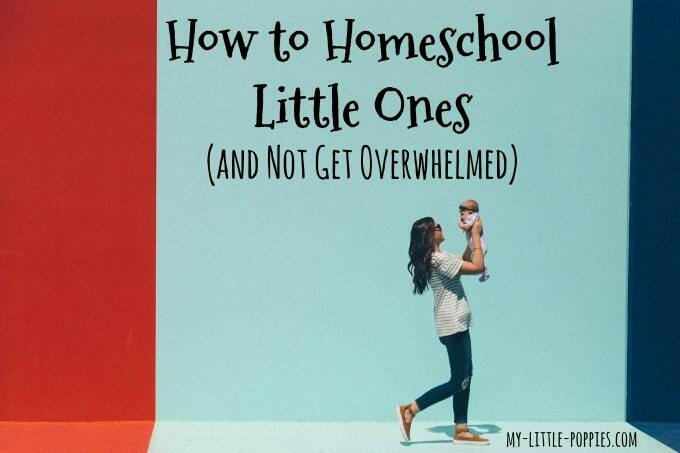 Are you wondering how to homeschool little ones without getting incredibly stressed out? Keep reading, mama! I am a huge believer in keeping things simple. 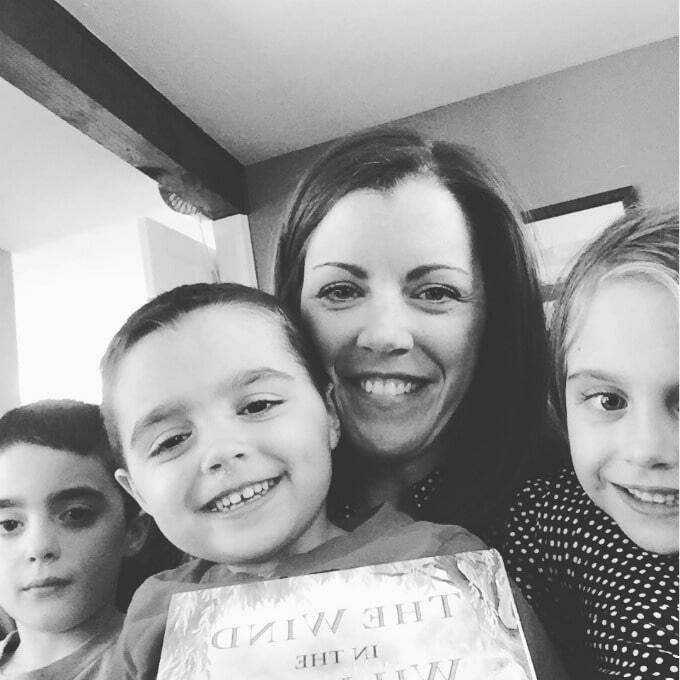 Today, I’d like to share how to homeschool little ones without the overwhelm! Step 1: Breathe, close your computer, and look at that awesome kid in front of you. Close your computer. Close your eyes. Now, breathe. Breathe deep. Deeper still. Now, open those eyes and look at that amazing kiddo in front of you. Sometimes, we have a tendency to read too many things on the internet. We see so many different messages from homeschool experts. Parenting experts. Education experts. You were your child’s first teacher. It’s true! You have always been a teacher. You taught this kiddo how to nurse, how to eat, how to dress, how to tie shoes, how to be kind to others, how to wash her hands, how to drink from a cup, how to brush her teeth, how to hold a fork, how to use the potty. You’ve been teaching all along. The only thing that has changed is the decision to homeschool. When you think about it, you’ve been homeschooling all along just without the fancy label. 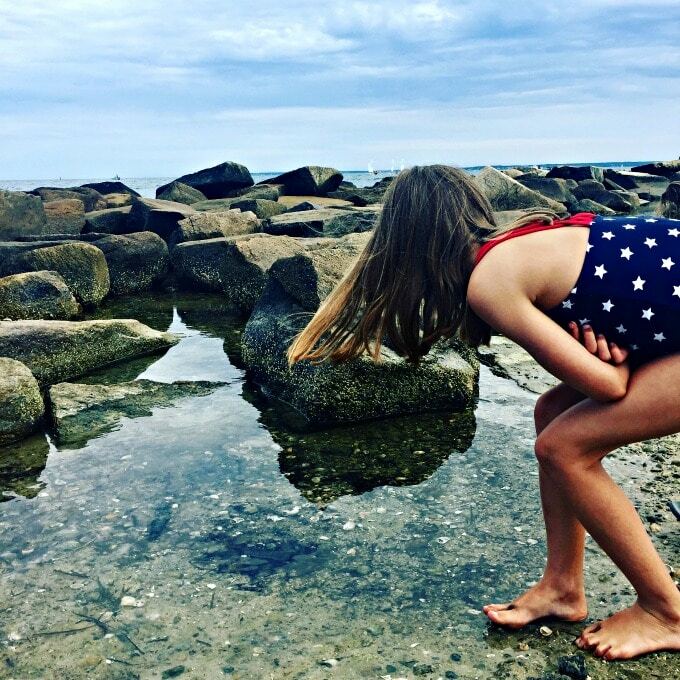 There is nothing in your Instagram feed that will show you how to teach the kid standing in front of you. You know her likes and her dislikes, her strengths and weaknesses, her joys and her fears. You know this kiddo better than any teacher- any expert- in the entire world. Step 2: Focus on routines, not schedules. New homeschoolers have a tendency to overschedule at first. We have this ghost of public school whispering in our ear, adding to our worries. But education and school are two entirely different birds. You can provide your children with a fantastic education and it can look nothing like the school of your past! This is especially true for the youngest homeschoolers. RELATED: How to ditch the schedule and embrace a homeschool lifestyle. What do you love to do together? Do that. Read? Play games? Walk in the woods? Visit the farm stand? Hit up the library for a laundry basket of delicious books? Find a routine, keep it loose and lighthearted, and enjoy yourselves! I encourage you to give it a listen! Step 3: Explore the world around you. Get outside! Explore the world around you. At this age, every day is a field trip! Your child is learning all the time! Talk to each other! Answer her endless questions. Ask questions of your own! 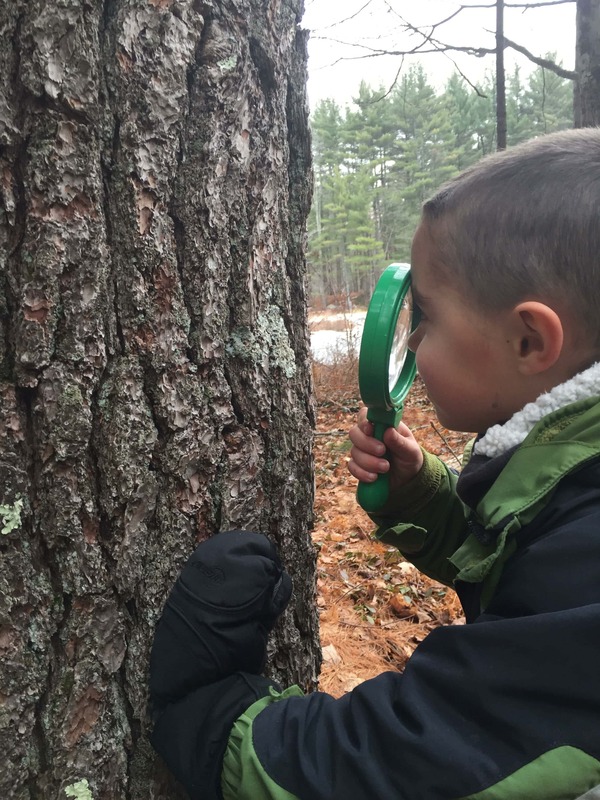 RELATED: The simplest, most easy-to-follow, most affordable nature exploration curriculum I’ve found. Step 4: Read-aloud early and often. This is the single most important thing you can do for your child when it comes to homeschooling. If you make time to read-aloud to your child every day, or even almost every day, you will be making a huge impact. And please remember that audiobooks count! RELATED: Our growing list of book recommendations for 2019! Step 5: Play, play, play! Play can change the entire atmosphere of your homeschool. Truly. Children explore the world through play. 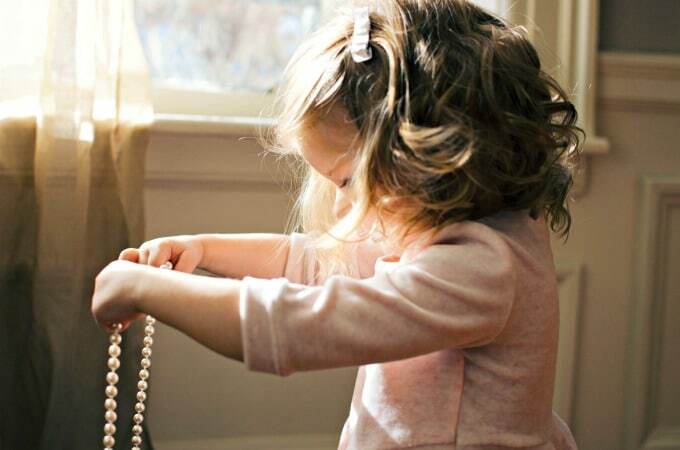 It is often said that play is the language of childhood. I always tell homeschool parents that play is one of the most important parts of our homeschool routine. 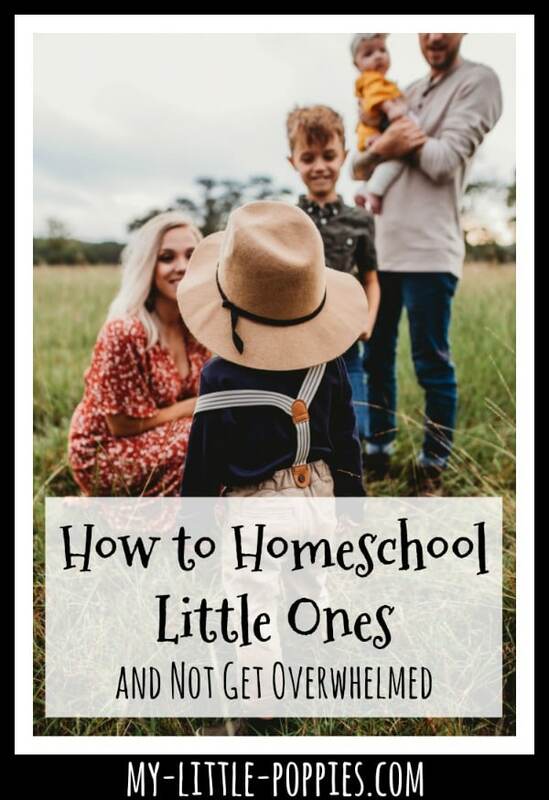 And when you are homeschooling the littlest homeschoolers? It’s the most important part. I’ve shared this before, but there is a ton of research out there on the importance of play, not just for kiddos but also for adults. You will never regret moments spent playing with your children. You are boosting connection, making memories, and spending important hours together. RELATED: Our Gameschool Resource Page will help you play more in your homeschool! Focus on connection above everything else. Tell that Ghost of Public School Past to shush. Look at that amazing kiddo in front of you. Kneel down to her level, and ask her if she’d like to go on an adventure. And then, explore, play, read, and discover together! Just starting out on this homeschool journey? Would you like more information about how to homeschool little ones? Now, it’s your turn. Tell me: What advice would you give a new homeschooler? How do you homeschool little ones without getting overwhelmed? As a “never been to school” mom, someone who has homeschooled from preschool, one of the biggest frustrations I dealt with early on was filling my mind with fun ideas for older kids, field trips, documentaries, fabulous chapter books, etc. on my podcast feed but in reality, we were reading The Hungry, Hungry Caterpillar 50 times a day because my kids were 3 and 1. It was hard to be immersed in the world of homeschool but not yet a home educator. While I don’t regret those years–because I listened to Kara Anderson’s warning about burn out! — I do wish I could have given myself a hug and said not to worry so much about doing “enough” or comparing myself to people whose kids are much older! Loved this, Ashley! I wish we could all go back and give ourselves a hug during those early years! Kara’s post about burn-out is a great one! Oh my word, this is gold! Thank you, I really needed this today. I’m so glad you found it when you needed it, Amy!